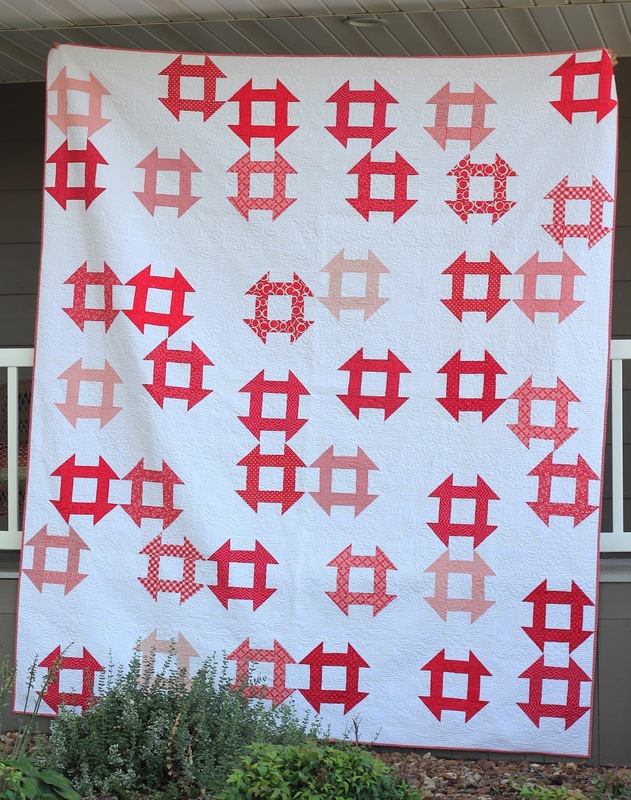 A red and white Churn Dash Quilt has been in the works here for a few months. I have been collecting red fat quarters after seeing a gorgeous Churn Dash in a book. Which book? 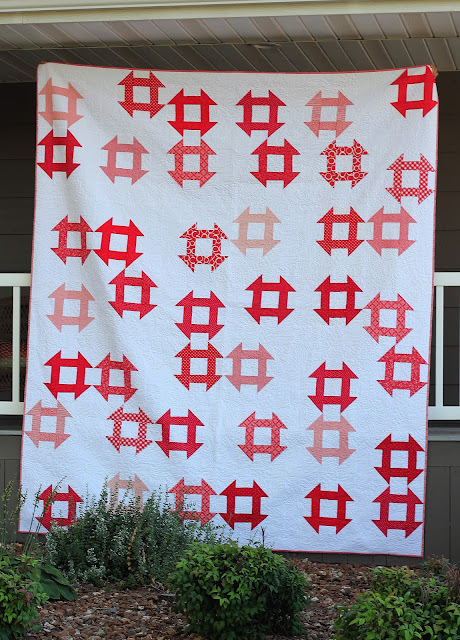 It is Modern One-Block Quilts by Natalie Bonner and Kathleen Whiting. 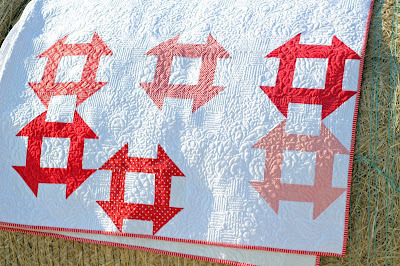 I love this quilt and the layout of the Churn Dash blocks. Isn't that a great layout? I just love the modern twist on one of my favorite blocks. I did change one thing from the book. The book has a nine inch block but I went with a twelve inch block. 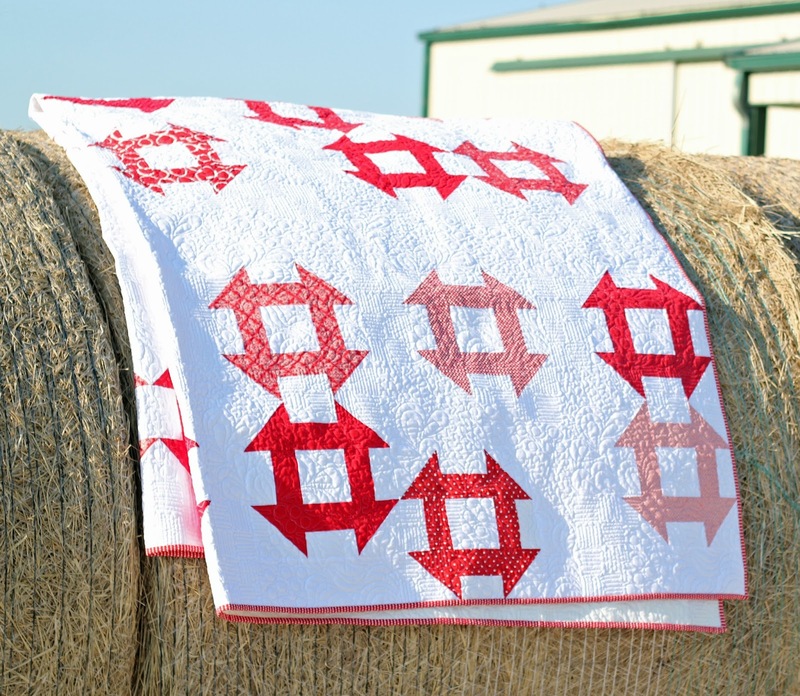 I wanted a big quilt, one that will fit on our queen bed with plenty hanging over all the edges. My friend and fabulous long arm quilter, has a new pattern called Textures and when stitched out looks like custom quilting . Textures is quickly becoming one of my favorites! 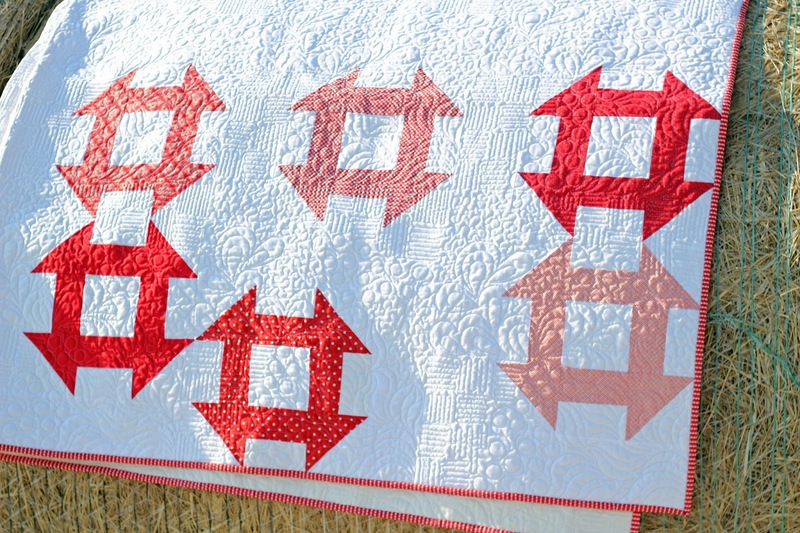 Isn't the quilting so gorgeous and amazing? I have a back log of quilts, some from last year. Now that the girls are all moved out, hubby can't hold up the big quilts by himself. Thursday for dinner a couple of daughters were home and I told them they had a job. They knew it was quilts to hold! Their smiles say it all, right? Meredith and Erin were good sports and Erin had to stand on a chair to hold this one high enough for photos. My plan is to have a red and white (or cream/beige) quilt on all my beds for Christmas. I am so excited to have this one made and I am in love with Natalie and Kathleen's design. I used to be too impatient to "collect" fabrics for a future quilt but I'm six years into quilting and seeing my growing pile of Kaffe prints for a future quilt is exciting. 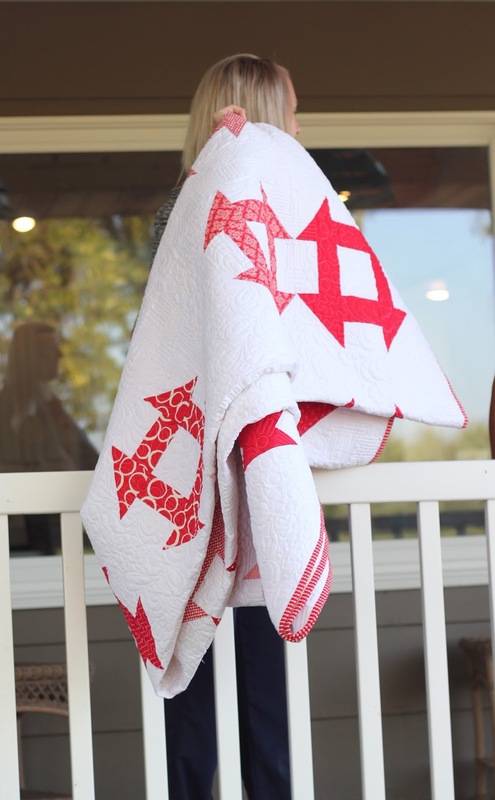 Great job on the red/white quilt. I love it. I've got a stack of red and white prints I don't know what to do with. I might just copy your idea. Very pretty.